In build presently is this wonderful Series 2A soft top. After sitting in a barn for 20 years it was bought from a farm in Norfolk. Very original, though with a truck cab top that was fitted at some point in its life this lovely Land Rover is the subject of a total rebuild. This means genuinely every nut, bolt and rivet is replaced. 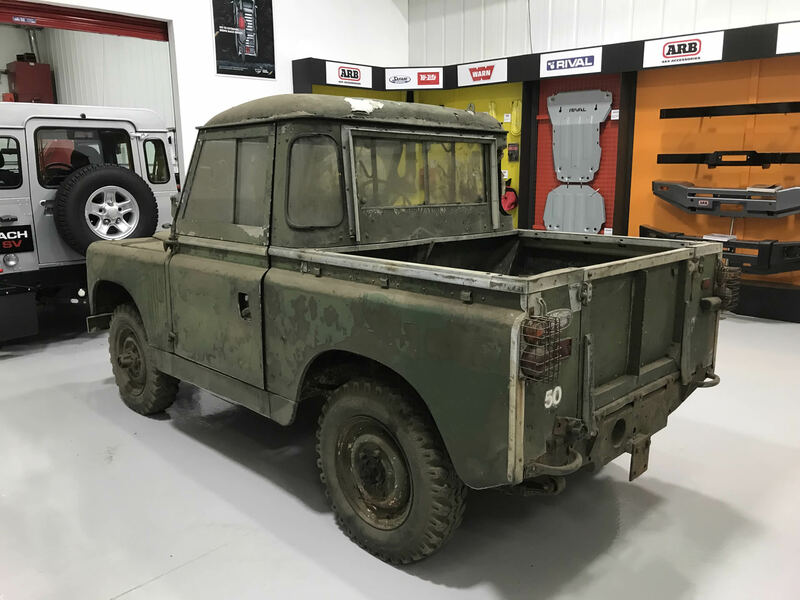 Every component is overhauled to in effect create a brand new 53 year old Land Rover. Using the original 2 ¼l petrol engine this Land Rover is available for sale and can be reserved on deposit.